In 2000, BGC Manufacturing's Southwest Dairy plant developed a hazards analysis and critical control points (HACCP) plan with help from a consultant. Plant managers at the time had no idea the plan would ultimately assist the company in meeting the requirements of a sweeping new package of food safety laws. But when those new mandates began taking effect in January of last year, BGC's voluntary efforts from 11 years earlier paid big dividends. "HACCP is an integral part of the day-to-day life of our food manufacturing plants and has permeated the entire manufacturing process from start to finish," says Brian Miller, quality assurance manager at BGC. "We are very confident that our HACCP plans are current and adequate." Miller oversees quality assurance for six manufacturing plants in the unit owned by Brookshire Grocery Co. (www.brookshires.com), Tyler, Texas. The plants, located on two sites in Tyler, produce milk, cream, ice cream and yogurt, plus cut fruits and vegetables, bakery products, beverages and ice. They serve 151 company-owned stores in eastern Texas, Louisiana and Arkansas. 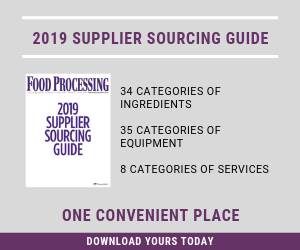 Like all other food manufacturers in the U.S., Brookshire is still unsure of what the ramifications of the 2011 Food Safety Modernization Act (FSMA) ultimately will be. At press time, FDA was behind schedule on detailing final rules on portions of the act. However, like a large majority of the dairy processors in the country, BGC is fairly sure its HACCP plan addresses much of the same hazard identification issues that will be stipulated in the most pertinent sections of FSMA. "FSMA mandates that all food companies follow HACCP," says Clay Detlefsen, vice president of regulatory affairs at the International Dairy Foods Association (www.idfa.org), Washington. "It does not use that language anywhere, but that's what it does." IDFA, a membership and lobbying organization representing dairy processors, spearheaded dairy's voluntary adoption of HACCP over the past 12 years. HACCP is required for seafood and fresh juice companies, but dairies — which operate largely under an older, more specific Pasteurized Milk Ordinance (PMO) -- escaped HACCP requirement. Lids on ice cream cartons are checked at a Brookshire Grocery Co. dairy plant. Brookshire is one of many dairies that voluntarily adopted HACCP, putting them in a solid position for final regulations of the Food Safety Modernization Act. Still, dairy's voluntary adoption made sense for a couple of reasons. To begin with, a good number of dairy plants also package orange juice. More importantly, many of their customers were asking for HACCP plans, says Tedd Wittenbrink, vice president of audit services at Randolph Associates Inc. (www.randolphconsulting.com), Birmingham, Ala. Randolph conducts training and audits and provides lab analytics for dairy processors and ice cream manufacturers around the globe. "In most cases, HACCP was customer-driven. There were customers [major grocery and foodservice retailers] who wanted dairies to have something in place," says Wittenbrink. "You need to have some type of hazard analysis." The dairy industry's voluntary HACCP participation has been strong, says Jon Gardner, another vice president at IDFA. His work is focused largely on the HACCP program. "Somewhere around 90 percent have a plan, or have gone through the process," he says. "And all dairy businesses identify their hazards." Randolph is the firm that helped BGC and other dairy companies develop their HACCP plans. It works in concert with IDFA, providing fee-based training, audit and consulting services to many processors that are IDFA members. In the 1990s, the dairy industry underwent a period of rapid consolidation leaving a mixed playing field that remains today, Wittenbrink says. "Anymore, you have two basic kinds of dairy operations in the U.S. from a business standpoint: the corporations and the smaller, independent family-owned businesses. For the most part, the corporations are going to be in great shape. They have had HACCP for years, primarily to satisfy customers." Many of the smaller companies have adopted HACCP, but those who have not may have to scramble. "They are the ones that may be struggling a little more with what they will need to do to comply with FSMA," Wittenbrink adds. "In many cases they have not developed a hazard identification plan, so they will need to do something. The easiest way to prepare for FSMA really is to develop a HACCP plan. Sooner or later their customers will want it anyway. More and more customers want HACCP and GFSI (Global Food Safely Initiative) certification." An additional benefit to HACCP is that it moves some of the FDA oversight requirements of the PMO from the realm of regular inspections to a report-and-audit scenario. About 48 million people (one in six Americans) get sick, 128,000 are hospitalized, and 3,000 die each year from foodborne diseases, according to recent data from the Centers for Disease Control and Prevention. This is a significant public health burden that is largely preventable. The FDA Food Safety Modernization Act (FSMA), signed into law by President Obama on Jan. 4, 2011, enables FDA to better protect public health by strengthening the food safety system. It enables FDA to focus more on preventing food safety problems rather than relying primarily on reacting to problems after they occur. The law also provides FDA with new enforcement authorities designed to achieve higher rates of compliance with prevention- and risk-based food safety standards and to better respond to and contain problems when they do occur. The law also gives FDA important new tools to hold imported foods to the same standards as domestic foods and directs FDA to build an integrated national food safety system in partnership with state and local authorities. Plant managers who feel they will need more information and guidance once the FDA rules are in place will have numerous options. IDFA will continue to provide information to members about the progress of FDA's rule making, says Peggy Armstrong, the group's vice president of communications. And once those rules are in place, a one-day conference will be scheduled for members in Washington. "We have quite a few resources available," Armstrong says. "Some of this is covered in manuals in our online book store. We do hold dairy HACCP courses regularly, and one of the benefits of membership is having access to staff experts like Jon and Clay." Detlefsen says IDFA has developed a task force of 400 members that will help produce an analysis of the final FDA rulings and drafts. "There is a lot of misinformation out there, and if there is anything we can do for members to help clear things up, we are happy to do it," he adds. Meanwhile, Randolph and Associates will organize informational and training programs in various parts of the country. Wittenbrink says on-site training also will be available, and that it is often a more economical option for companies with multiple staff members in need of additional information. The company also held 90-minute webinars in April and on May 1 to help familiarize clients with FSMA. It also has several HACCP, advanced sanitation, and SQF workshops scheduled in the coming months. The act provides an outline that directs FDA to produce the specific regulations food companies must follow, for each of the sections. For each of the five areas there are various timelines for the release of final rules, implementation and enforcement. For dairy plants, a subsection of the Prevention section mandates those hazard and risk prevention practices that are likely to have a familiar ring. These include evaluating hazards that could affect food safety, specifying preventative steps and controls, specifying how controls will be monitored, maintaining routine records and specifying a system of corrective actions should problems arise. Final FDA rule for the Prevention section had been scheduled for 18 months after the January 2011 passage of the act – that would be this July. With preliminary rules having not yet been released as of April, it is highly unlikely that the schedule will be met. IDFA's Detlefsen says FDA has given indications the agency will give processors plenty of breathing room before enforcement begins. "It's a very comprehensive act," Detlefsen adds. "The regulations include 50 different rules, some of which are going to require further decisions from FDA. Some of these took effect with the passage on Jan. 4, 2011, including mandatory recall authority. Others will not be finalized for several years." What does concern IDFA, and that concern is echoed by BGC and others, is the slim possibility that there will be a requirement of post-production pathogen inspection. While this might seem like a logical preventative step, IDFA is lobbying to keep it out of the final rule. "IDFA does not believe that FSMA authorizes that," Detlefsen says. "It's OK if members want to do it. But it can be problematic, especially for fresh dairy companies. "The trouble is that the processor would have to hold the product until the tests come back. Where are you going to hold all that milk while you are waiting for the tests to come back? It's not a good strategy, and there are better ways to verify and ensure." Indeed, milk processors like to take fresh dairy products from their initial state — fresh, raw milk — to a finished, packaged product that is in the distribution chain within 24 hours, says BGC's Miller. "The potential mandated pathogen testing is troubling mainly because our dairy items have such short code dates that any delay in releasing product … is a loss in shelf life for our products and to our customers," Miller says. Other concerns being discussed include increased government oversight and access to records, which worries Miller, and some wording on identification of radioactivity in raw inputs. "That has not been real clear," Wittenbrink says. "FDA has given us the parameter but not what the requirement is. And dairies will now need to include it in their hazard analysis." Decades of operating under the PMO and the more recent adoption of HACCP have led dairy processors to claim that they are both the most highly regulated segment of the food industry and one of the most proactive. What dairy processors have done, in the past decade or so, is to find ways to develop tighter parameters on sanitation and process control through better analysis of data. This, combined with increased testing of incoming raw milk (and subsequent feedback and incentives to farm-based producers) has led to raw milk that is lower in somatic cell counts and fewer opportunities for it to become compromised during processing. It comes down to decreasing variability by having more information and greater control, says Wittenbrink, and this will continue to help dairies meet new requirements. "No. 1 is that dairy processors have done a better job of developing prerequisite programs [sanitation and raw milk testing, and record keeping], and they have become more proactive. They have increased both food safety, which you would expect, but also quality." Of course this requires that things like HACCP plans and GSFI standards become a part of the company's dairy operations, rather than just a book on the shelf or a plaque in the lobby. IDFAs Gardner says HACCP becomes part of a dairy's routine. "A HACCP program is a living document, if you will. Once it is developed it has to be updated, and they actually follow it," Gardner says. "They have staff that keeps track of the program, and they are looking at it a great deal in every part of the manufacturing processes including management, QC, shipping and plant operations. It's an all-inclusive process." Mike Giles is the general manager for BGC Manufacturing. Giles said increased emphasis on quality and the anticipation of FSMA led to additional staffing in Miller's QA department. "We are looking at not only FSMA, but at a higher level of SQF (Safe Quality Food certification) at the same time," Giles says. "It really goes hand in hand." Giles says the company's well-developed HACCP plan will be helpful but that Brookshire still expects that FSMA will bring considerable change.